It’s that time of year when all gardeners’ thoughts turn to Chelsea. More surprisingly, Thornhill Galleries has also been busy in a Chelsea garden this week, as we’ve been installing a fireplace in a stunning new orangery. The Chelsea Gardener is a gorgeous, destination garden centre, just round the corner from Royal Hospital Chelsea, home of the famous RHS Chelsea Garden Show. Like Thornhill, The Chelsea Gardener is a family-run business, which began in the 1930s when the Fenwick family opened their first nurseries. London is a wonderful city for beautiful, green, hidden spaces; and this inspirational garden centre is a lovely surprise in the middle of Chelsea. Orangeries became fashionable here in the 17th century, when northern Europeans developed a taste for more exotic fruits. Similar to a greenhouse, the orangery enabled the gardener to grow exiting species such as oranges, lemons, limes, and pineapples. The splendid Orangery at Versailles (Bibliothèque nationale de France). However even behind glass, the northern climate was still too cool for the fruit during the winter, so orangeries were heated by open fire or stove. Orangeries were always elegant, ornamental buildings, with lofty ceilings and lots of natural light through many windows. The Chelsea Gardener’s new-build orangery follows these principles, and is a fresh, airy entertainment space. They contacted us to help them source the perfect fireplace for their unique new venue. 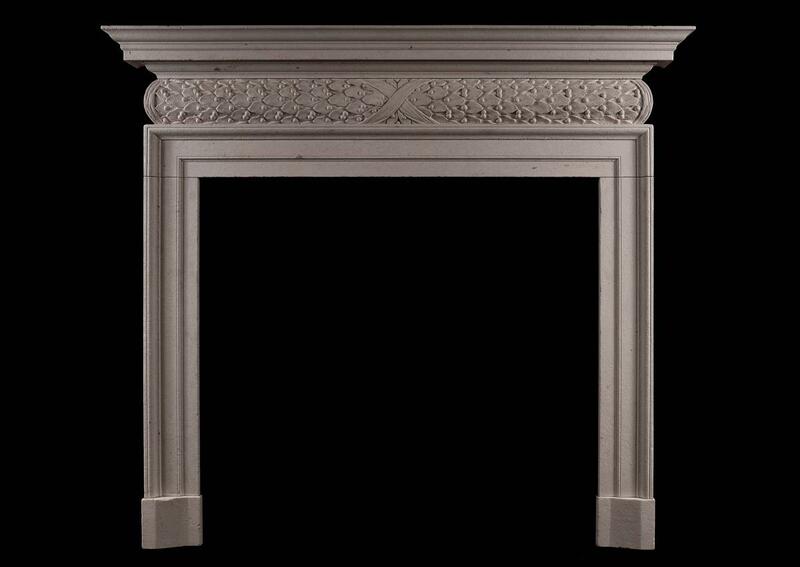 We selected this elegant reproduction Georgian-style fireplace. We felt that stone would be in keeping with the indoor-outdoor setting, and the carved oak leaves on the barrel frieze are perfect for the garden theme. 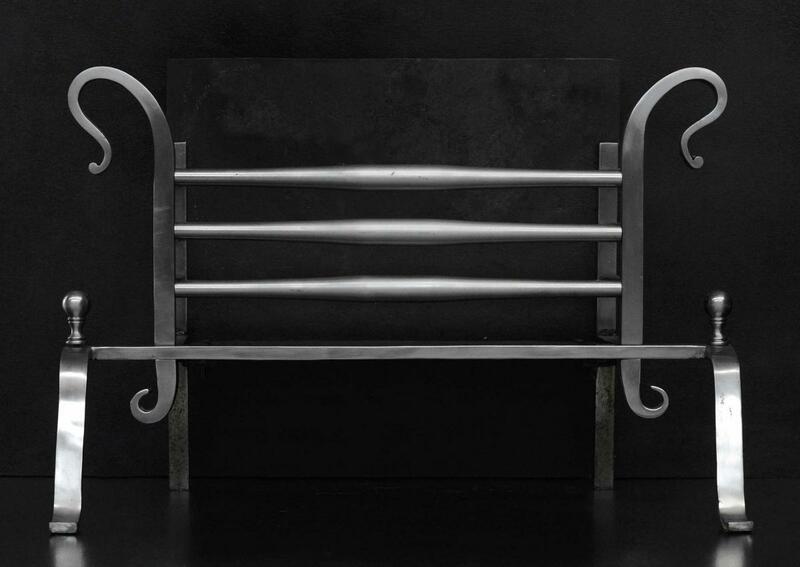 The finish has been lightly antiqued, to prevent it from looking unnaturally new in its carefully-styled setting. It’s the perfect combination of classic and rustic. 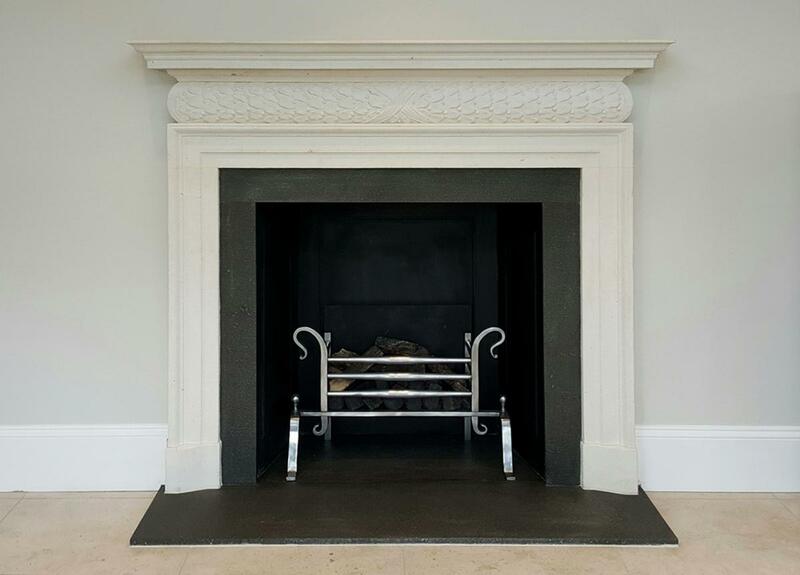 Unlike the antique fireplaces in the original orangeries, ours will be purely decorative. To dress the space, we chose this handsome grate. A copy of an original English firegrate, the “shepherd’s crook” finials again work with an rustic, natural theme. Decorative logs complete the look. 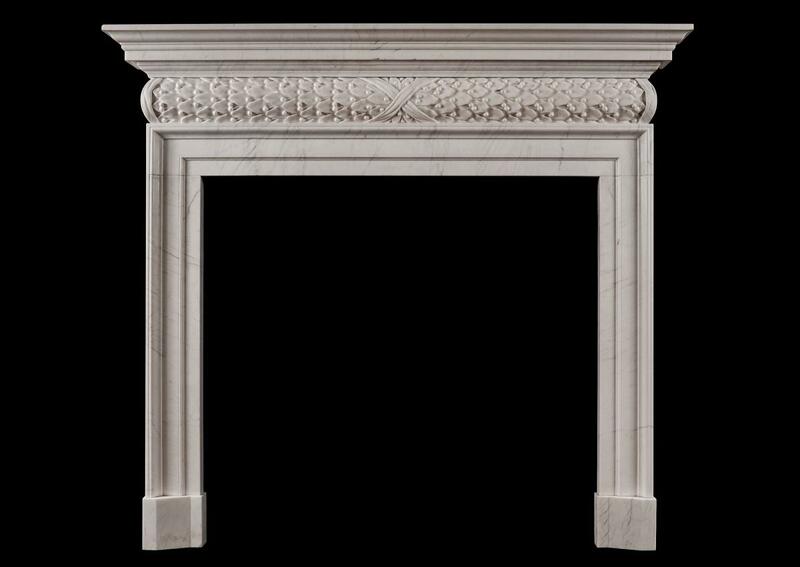 Smaller than the one at Chelsea, this Georgian-style fireplace from Thornhill Galleries is made from white marble. You may not have an orangery; however this light and graceful fireplace would look wonderful in a garden room or other airy space. Or should you just love the combination of this fireplace and basket and want this (or something similar) for your project don’t hesitate to get in touch. 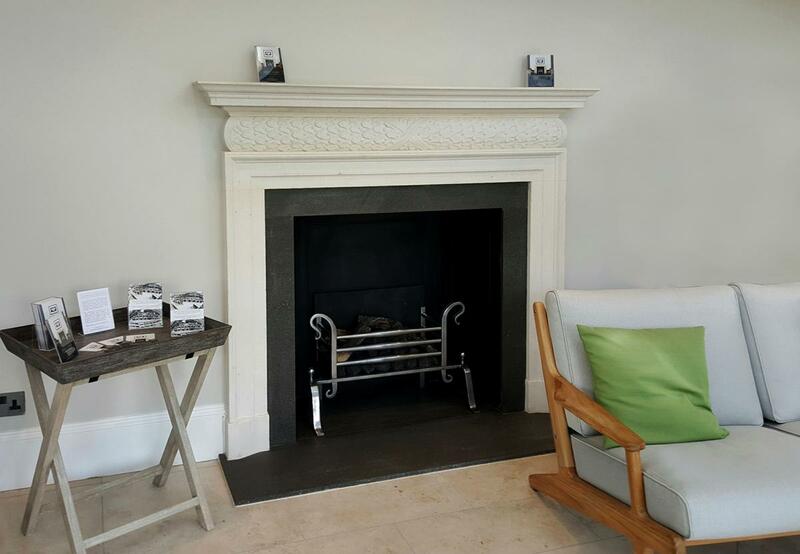 If you’ve got an unusual location, we’d love to help you source the right fire surround for it – fireplaces don’t just have to go in sitting rooms! Please contact us to discuss your plans. To hold your party in the gorgeous new Orangery at The Chelsea Gardener, please see their venue hire services. If you are interested in David Salisbury’s bespoke orangery design service, please have a look at their website where there are some wonderful examples of their elegant creations. To find out more about this year’s RHS Chelsea Garden Show, please visit the RHS website.